Yes, it’s really that blue. This lobster was recently caught by Meghan LaPlante, 14, and her father Jay, who operated the Miss Meghan Lobster Catch company in Old Orchard Beach, Maine. It is the same kind of lobster everyone is familiar with, but this one exhibits what scientists call, a color morph — that is, a distinct color or pattern that develops in a species. Lobsters get their color from genetics and from the food they eat. 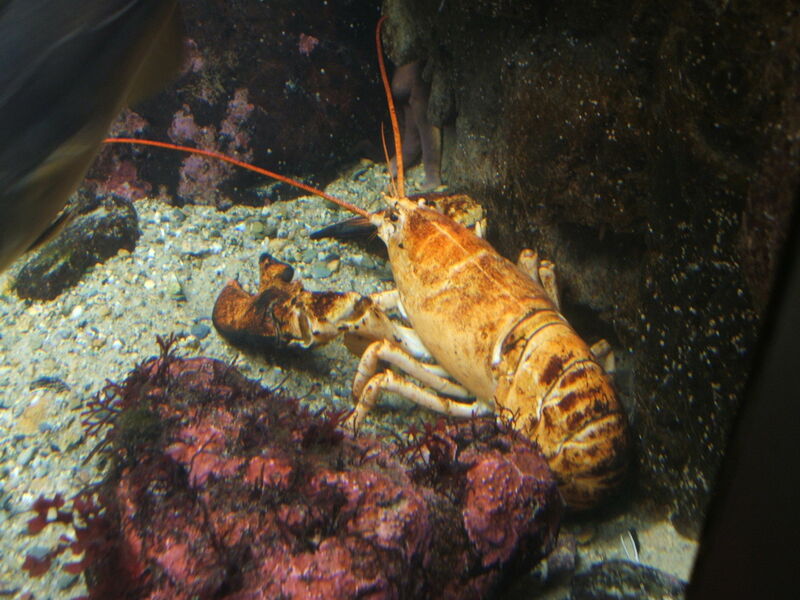 Lobsters must eat animals that eat plants containing a carotenoid (“carrot pigment”) called astaxanthin. This orange pigment is only made by plants and is the same chemical that makes flamingos and salmon pink. In lobsters, the orange astaxanthin binds to blue proteins on the lobster’s shell, giving the lobster that nice mixed greenish, brownish color we’re all familiar with. 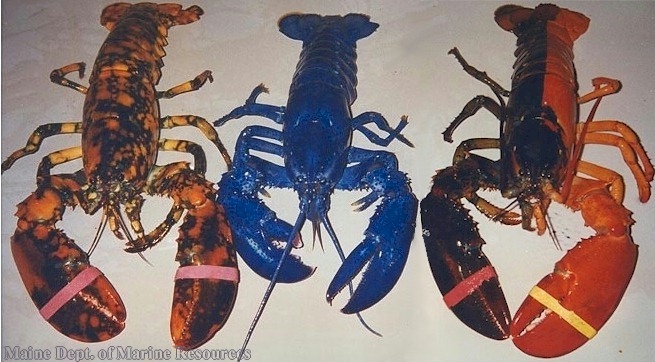 If lobsters don’t get enough astaxanthin, they will fade to blue because the blue protein will not be overlaid with astaxanthin. 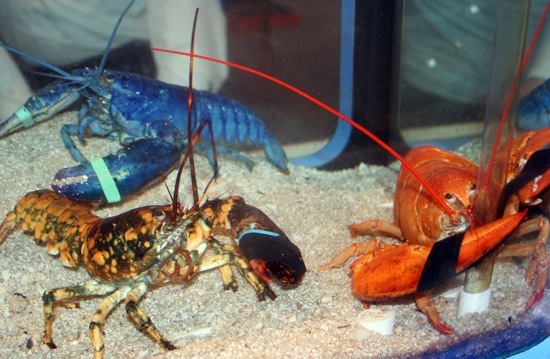 These lobsters will quickly return to their normal color if they are captured and fed properly. But some lobsters have a genetic variation that creates an abundance of blue protein, enough to override the effect of astaxanthin. 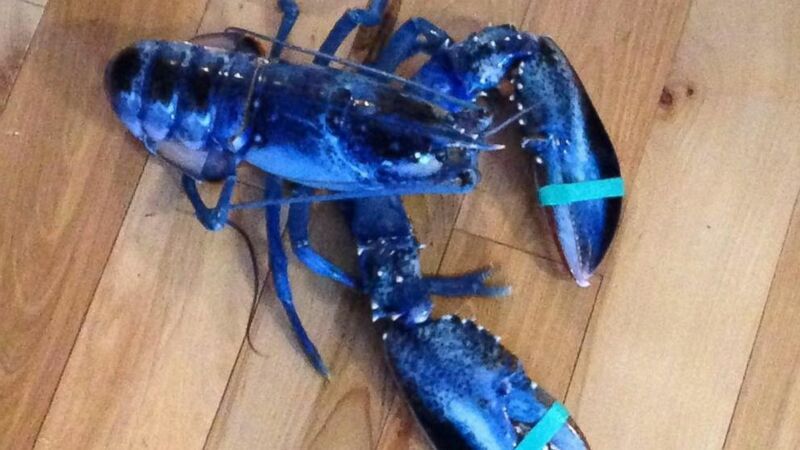 Like Skyler, these lobsters are permanently blue. This occurs in only 1 in 2 millions lobsters. Rare indeed. Lobsters turn red when you cook them because the heat breaks the protein bond leaving only free astaxanthin. But some lobsters are naturally red. 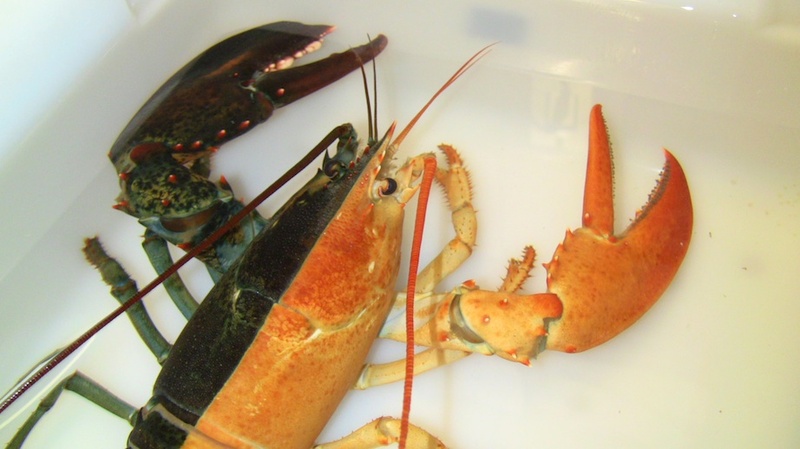 This occurs when a genetic variation causes the lobster to produce too little blue protein. All split-colored lobsters observed by the Lobster Institute are hermaphroditic — sporting both male and female characteristics. 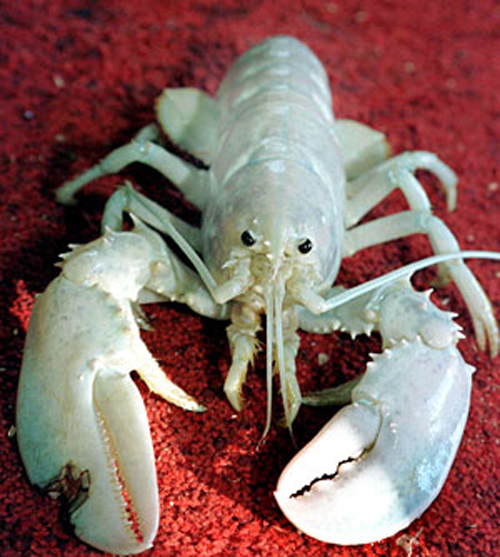 The only lobsters that don’t turn red when you cook them are albinos, also known as “crystal” lobsters. These are the rarest of the rare color morphs. Although letting Skyler go back to the deep blue sea would probably have been a better decision, Meghan and her father did spare Skyler’s life and donated him to the Maine State Aquarium. There he will live out his life — which could be as long as 100 years — and may help scientists better understand the genetics of lobsters. *Contact me if you are the owner of this image.